Dr. Durga has strong roots in pediatric dental care as she spent the first year of her professional career at a pediatric dental care facility. She loves spending time with and educating children on various topics including oral health. She strongly believes that most dental problems in adulthood can be avoided by developing good oral hygiene in children. Trust Dr. Durga and our team to make your children feel relaxed and comfortable for every type of dental treatment. We use the latest advancements for children's dental care, and we provide these services with a gentle, compassionate approach. Children are taught at an early age how to take care of their teeth so they will have their natural smiles for a lifetime. We invite them for their first visit at age one and every year thereafter as they grow and change. We want all generations of children to grow up without anxiety about dental visits. Parents have told us repeatedly that their children are calm during their dental treatment. 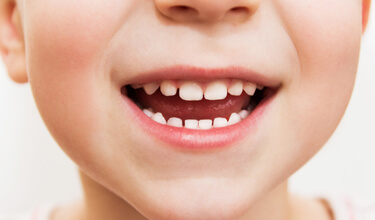 DD Family Dentistry provides a happy environment that children feel comfortable in. No matter the problem, we can help make every child's visit easy for them and their parents. The DD Family Dentistry team provides children's oral care in a friendly, fun-filled atmosphere. We provide customized care for infants, toddlers, children in the age group of 7 to 12 years and adolescents. With a few special services, we ensure young smiles get an excellent start. Call us to schedule an appointment today! Dental sealants are thin shields that cover up the uneven surfaces of the premolars and molars, which are at a higher risk of decay than the teeth in the rest of the mouth. It’s difficult for children’s little hands to properly brush these surfaces — but cavity prevention is crucial for young patients. Dental sealants protect teeth from decay and prevent other issues. In addition to sealants, we provide fluoride treatments to help strengthen kids’ tooth enamel against decay. And if your little one loves to play sports, let us protect his or her smile with a customized sports guard! In addition to ensuring chips, cracks, and breaks don’t affect those first teeth, a sports guard created specifically for his or her little smile has actually been shown to reduce the risk of concussion. DD Family Dentistry takes pride in educating our patients and community on oral health. Our staff visits local schools, assisted living communities, and we periodically participate in local events to answer questions related to dental care. We encourage our patients and family members to approach Dr. Durga and DD Family Dentistry staff with any specific questions on oral health.